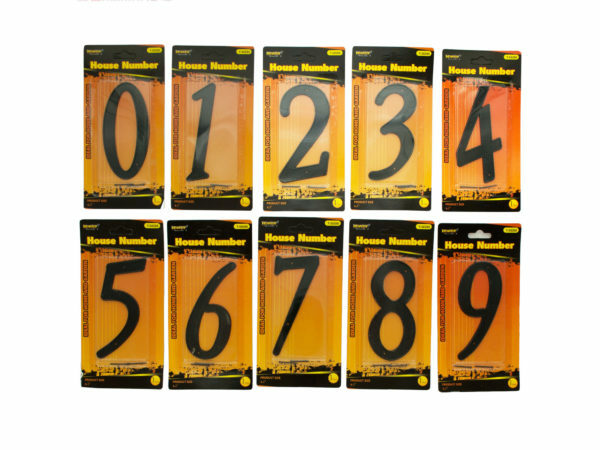 Spruce up your home's exterior and make your address easily seen with this Black Metal House Number featuring a weatherproof metal number with a glossy black finish, grid texture and raised edges. Two nails included. Numbers measure approximately 4.2" long. 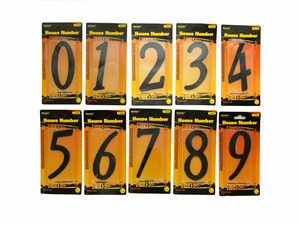 Comes in assorted styles (numbers 0-9). Comes packaged in a blister pack. 48 pcs. 96 pcs. 144 pcs. — 192 pcs.